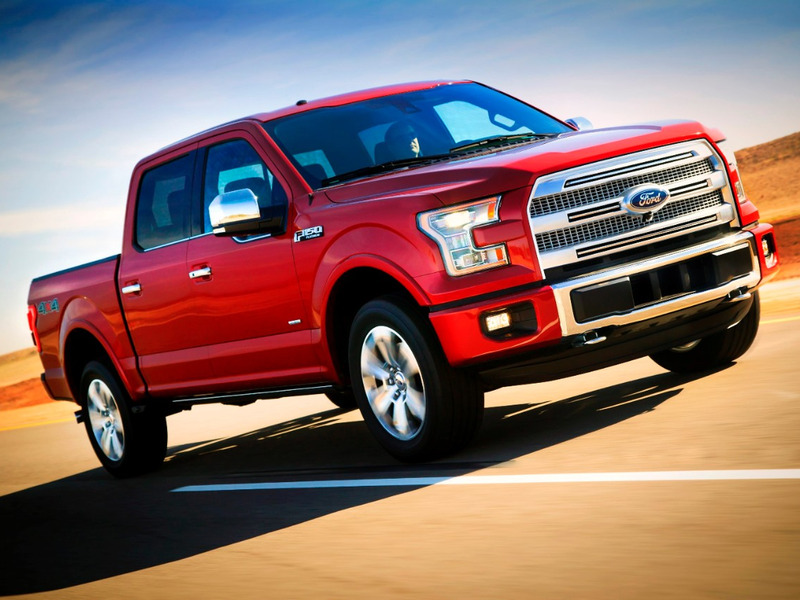 BRIGHTON, Mich - The all-new 2015 F-150 is Ford's Most Patented Truck Ever, containing more than 100 new Ford patents and/or patent applications. Everything from its tailgate step to the LED spotlights on the side mirrors have made the 2015 Ford F-150 the most patented truck in company history. The F-150 is busting from the seams with innovation and advanced technologies, redefining the light-duty pickup truck for the next generation. Every part of the new truck has been enhanced -body, exterior, interior, chassis, design, electrical and engine- and even the manufacturing process has had some adjustments. A remote tailgate release and smart trailer tow features make towing easier than ever before. There are LED side-mirror spotlights that allow drivers to illuminate the side of the vehicle and the BoxLink™ cargo management system features lockable, die-cast aluminum tie-down cleats, providing a unique interface to the box for more flexibility and organization. These plus several other features never offered on a Ford pickup before have not only made the 2015 F-150 Ford's Most Patented Truck Ever, but have raised the bar for all of those in the industry. Ford Motor Company is teaching the world how to build a next-generation truck and proving with these 100 plus patents that Ford engineers and designers lead the automotive industry in innovation.